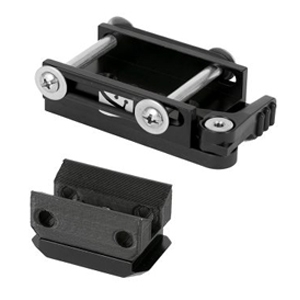 MOUNTING PLATFORM FOR LIGHTS AND CAMERAS, WHILE PROVIDING BUMP PROTECTION. 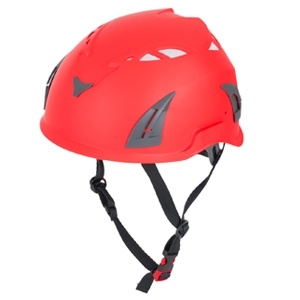 Dive Rite's helmet has a low profile design that is free of foam. 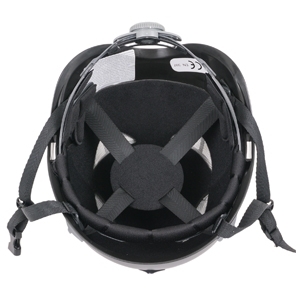 An adjustable suspension system inside the helmet provides a comfortable fit. The quick adjust knob on the back of the helmet allows the diver to quickly adjust between hood thicknesses. 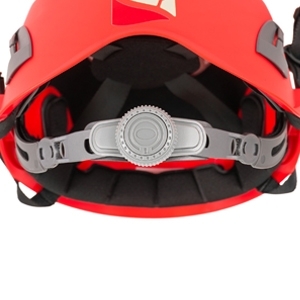 An adjustable, quick-release chin strap keeps the helmet in place throughout the dive. 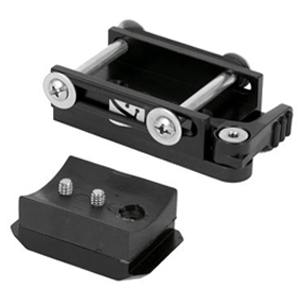 Add a QRM receiver to either side of the helmet to easily mount spare or primary lights. Though sold with diving in mind, Dive Rite's helmet also has a CE EN 397 certification for use as an industrial helmet protecting the user from falling hazards.